Lifetime Warranty. Call For a Free Quote! 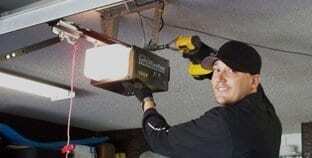 Are you looking for quality Garage Door Repair & Installation in Edmonton? If yes, call us now. 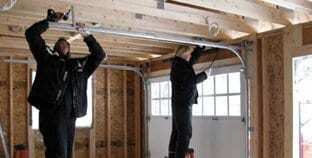 Are you looking for a professional garage door service in Edmonton? 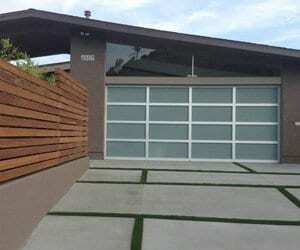 Is your garage door showing any potential signs of wear and tear? At Gulliver Garage Doors Edmonton, we have a team of trained technicians who believe in delivering high quality garage door services at affordable prices. Our ultimate motto is to offer complete satisfaction to our clients without breaking the bank. We are passionate about our work and can go the extra mile to fix any kind of issue you are experiencing. 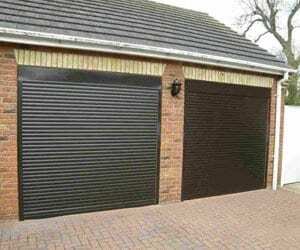 Garage door comprises of a variety of simple to complex components such as springs, cables, rollers, track and much more. In order to ensure the smooth functioning of the door, you should pay due attention on their repair and maintenance. We are 24/7 available to help you maintain the pristine condition of your both residential and commercial garage doors. This service is most popular among new homeowners and business owners with newly build garages. We also have many customers with outdated doors that are looking for a replacement. 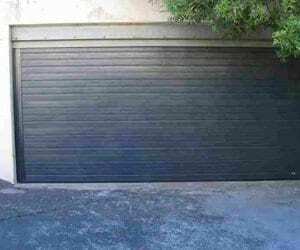 Here at Gulliver, we are capable of repairing all makes and models of garage doors, door openers, and other components related to the door, such as cables, springs, rollers, hinges and tracks. We can replace your garage door springs at a competitive price. We have years of experience in replacing springs and know how to get the job done in the highest professional manner. 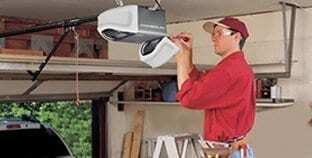 We carry and install reliable garage door openers from the leading Canadian brands. Our team makes it easy for you to choose the opener that meets your requirements, lifestyle and usage. 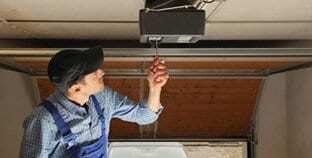 Just like your car, your commercial garage door should also have regular maintenance service performed annually. 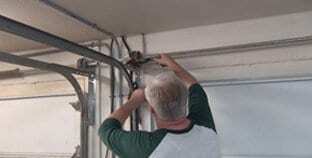 A garage door tune-up will ensure your door is not only safe, but also functional. We understand that residential garage door emergencies happen without any prior warning. We offer 24/7 emergency services to ensure you and your door are protected at all times. 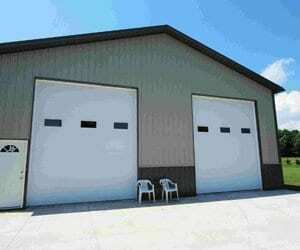 At Garage Door Repair Edmonton, we specialize in residential and commercial garage doors. We are a locally owned and operated business proudly serving our customers in Edmonton. Our technicians undergo continuous training to ensure that your job is done right the first time, every time. 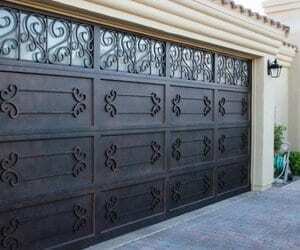 Our friendly staff is knowledgeable in everything related to garage door repair and installation and will gladly help you in explaining what it is that your door needs to function smoothly and efficiently. Customer service is our priority. That’s why we offer highly quality workmanship with guarantees. To know more about our services, please get in touch with us. We are more than happy to serve you in-person or online. After calling a few garage door repair services, Gulliver Garage Doors Edmonton was the nicest, willing to come to our place the same day. They inspected the door and showed us the faulty areas. I was at work when they came to fix the door and they were very nice to my wife and fixed the garage door in less time. They also gave me the best price in town. Thank you so much for all the help. My garage door opener refused to work. I called Gulliver Garage Doors Edmonton on Monday and they said they will install a new opener the next day. 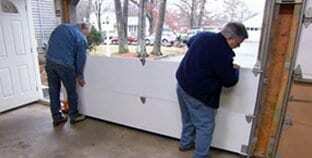 The technicians showed up on time the next day and were very knowledgeable and nice. I would recommend this company to anyone. Great people and great price. Thanks a lot. I am so impressed with Gulliver Garage Doors Edmonton. They installed my garage doors and they look great. The guys did a great job and also cleaned the mess afterwards. This company offers great, on-time service. I highly recommend them. Call to schedule an appointment or to request your FREE estimate.